​Liverpool's title pursuit appears to have hit a stumbling block in recent weeks. Despite going one goal up against Leicester and West Ham, the Reds could only draw both games. Much has been said about their lack of incisiveness going forward during their recent disappointing run, but it has been their once stingy defence that has cost Jurgen Klopp their commanding lead atop the table. At the start of the season, Joe Gomez and Virgil van Dijk struck up a formidable partnership at the heart of Liverpool's defence. The pair didn't see their side concede until their fourth game, and that goal only came courtesy of a catastrophic Alisson mistake against Leicester. With the announcement this week that Gomez will require surgery on a fractured leg, the Englishman is set for an extended spell away from the pitch, but Klopp remains hopeful he could return before the denouement of this campaign. Before fracturing his leg against Burnley, Gomez made 12 starts in this Premier League campaign, and conceded just five goals in those games. In fact, Liverpool hadn't conceded more than one goal in a game with the 21-year-old in the side. Without Gomez in the side, Klopp's men have conceded as many goals in their last three games as they did in the first 11 of the season. It is clear that Liverpool are starting to feel the pressures associated with leading the pack in February. 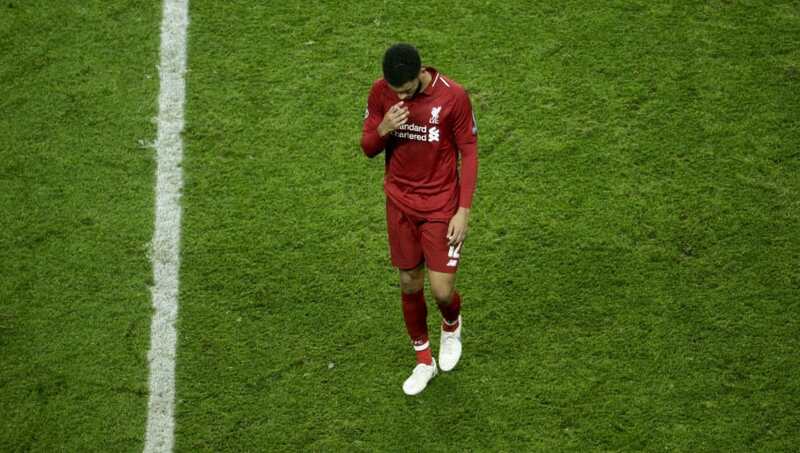 ​​What must be considered is, should Liverpool have had a suitable replacement lined up, the impact of Gomez's injury wouldn't have been so dramatic. With Gomez sidelined, Dejan Lovren and Joel Matip have been sharing the defensive load alongside van Dijk, but have failed to adequately fill the Englishman's boots. However, we must remember that Gomez is not the only absentee from Liverpool's defence just now, with Trent Alexander-Arnold also out, whilst both Lovren and Matip have also missed minutes through injury in recent weeks. Many would argue that, in light of these injury problems, allowing Nathaniel Clyne to join Bournemouth last month was a foolish piece of business. An out-of-position ​James Milner has struggled in his unfamiliar surroundings on the right side of defence, and even received a red card after Wilfried Zaha terrorised him at Anfield last month. Coupled with this, the club's failure to add any defensive cover last month was also arguably a mistake, and we could be beginning to see ​Liverpool pay the price for that. Last time Liverpool were in a genuine title race, their defensive options included Martin Skrtel, Daniel Agger and Kolo Toure. In that 2013/14 season, they conceded 50 goals, and it has to be said that they are in a much stronger position defensively than they were five years ago. However, the fact remains that without their first choice defender, keeping the league's best teams at bay will prove very difficult for Liverpool as they look to win their first ever ​Premier League title. It remains to be seen whether Gomez's injury will in fact be detrimental to their title aspirations, but going off the evidence of recent weeks, the Liverpool's defence has mimicked the porous ones of old and the Anfield crowd will be counting down the days for Gomez's return.